In the introduction of the Internet of Things (IoT), we explored what it is, how it works, and experienced the life-saving properties of it (at least saving from an angry significant other heh heh 😜). So if you haven’t already, take some time to read through the first installment of the IoT before you continue on here. 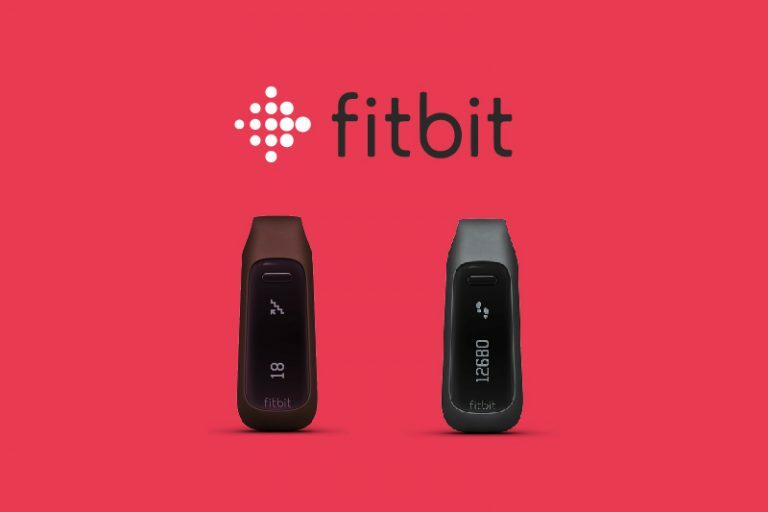 If you like to be fit (pun intended) or exercise regularly, you’ve probably heard of or used Fitbit One which tracks your steps, floors climbed, calories burned, and sleep quality. Where the IoT comes in for the Fitbit One is through monitoring your progress. Any data that’s collected from the device is wirelessly synced with your computer and/or smartphone, which transmits the fitness data into comprehensive charts that track and monitor your growth. WOAHHH. What??? An entire city can integrate the IoT?? Believe it or not, it’s true. In 2012, Barcelona began deploying responsive technologies across urban systems including public transit, parking, street lighting, and waste management. Using 500 kilometers of fiber optic cable within the city initiated 30 years ago, individual IoT systems across urban services were created. To improve energy efficiencies, Barcelona installed 19,500 smart meters that monitor and optimize energy consumption in targeted areas of the city. To decrease waste production, households deposited waste in municipal smart bins that monitor waste levels and optimize collection routes. For transportation, digital bus stops were installed that feature updates on bus locations, USB charging stations, free WiFi, and tools to help passengers download apps to learn more about the city. For drivers, sensor systems were applied that guide drivers to available parking spots. And this is only the beginning of the scope, many more initiatives were practiced by the city of Barcelona. 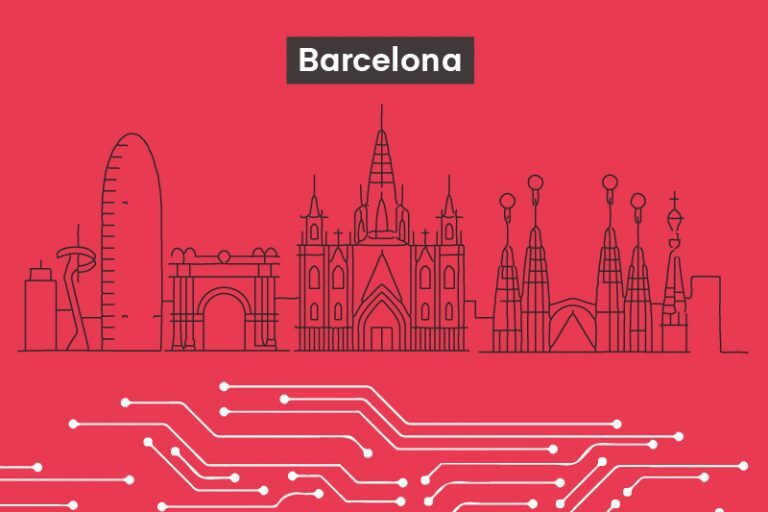 These innovations brought about significant cost savings, improved the quality of life for residents, and established Barcelona as a center for the young IoT Industry. 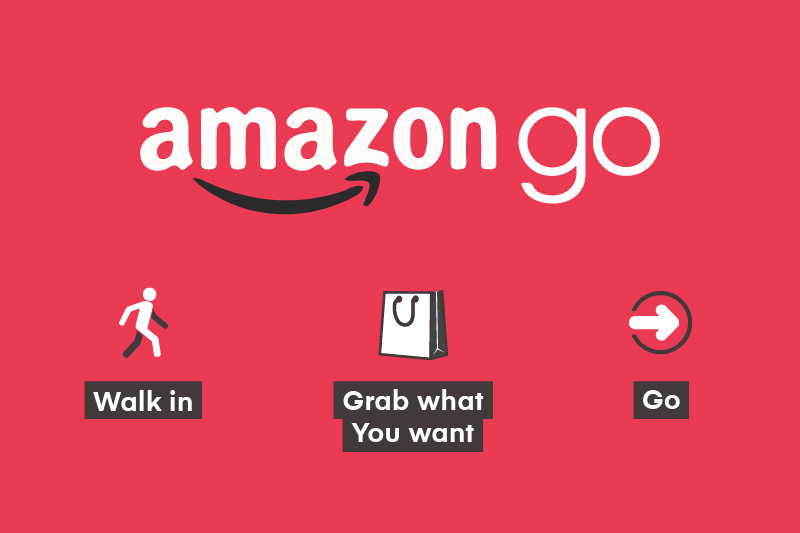 Have you ever been to Amazon Go? It’s the store where customers go in, pick up what they need, and leave without interacting with any actual cashiers. In fact, the entire checkout process is automated and lets customers put merchandise directly into their shopping bag and walk out. Just like that. How does this work? The store has gates (similar to the gates at train stations) and only allows those who have the Amazon Go smartphone app to enter. Every time a customer takes an item off its shelf, the item is placed into their online shopping cart. Conversely, if the item is placed back on the shelf, it’s removed from their online shopping cart as well. While there’s only one location available now, there’s bound to be more considering where the future of the IoT is heading to now. In 2016, over 3.9 billion connected devices were used worldwide. By 2020, the number of connected devices is expected to be up to 21 billion. That’s 5.38 times more and the number is only going to go up from there. 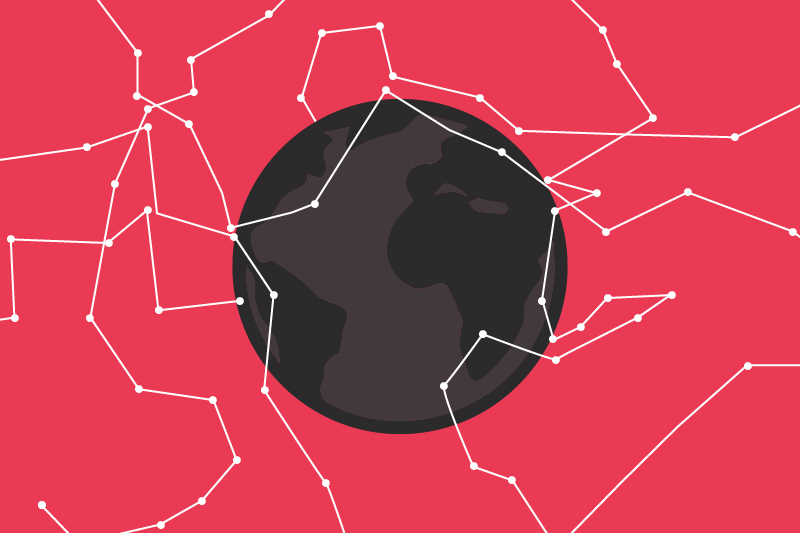 Welcome to the Internet of Things … where everything is intertwined and connected. Welcome to a new age where your car is no longer just a car, your home is no longer just a home, and your appliances are no longer just your appliances, all thanks to the workings of the IoT. But imagine this: Being able to track down your lost keys (or whatever else it is you easily lose!) using Bluetooth and other wireless technology devices. You’re in for a treat though because you don’t only have to imagine this. It is possible (and a game changer for those who tend to be on the more forgetful side). This is the power of the Internet of Things. Today it’s all about the Internet of Things (IoT). But what is it exactly? What are these things? 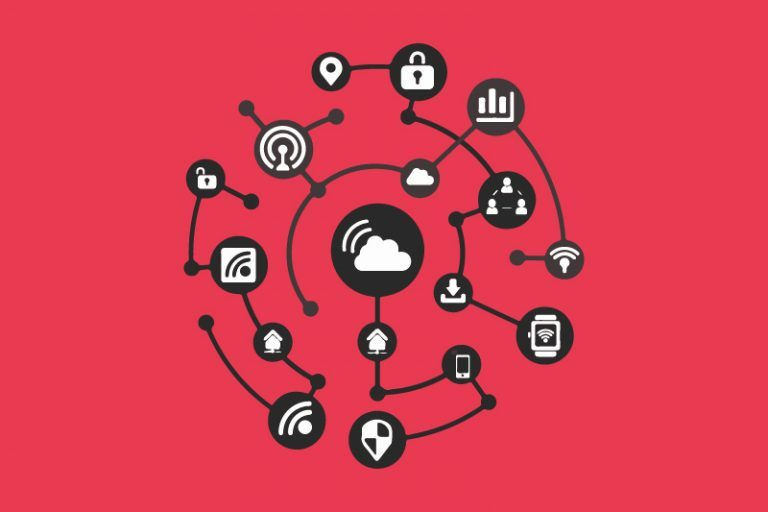 Well, the Internet of Things refers to the “rapidly growing network of connected objects that are able to collect and exchange data using embedded sensors” and encompasses devices that are connected together through the Internet. Basically, it consists of devices that are able to connect to the Internet to simplify or ease life processes. In traditional and conventional situations, these devices aren’t typically connected, but thanks to the IoT, now are. By combining these now connected devices with automated systems, we can gather information, analyze it, and create an action to help engage in a particular task or learn from a process. These things to be connected can range from anything and everything from thermostats, lights, and wearables to actual homes, retail stores, vehicles, and even entire cities! You name it, if it can be connected to the Internet, it’s a part of the IoT! For those with a curious mind, we have a lot of unanswered questions about a lot of things. But the IoT won’t be one of those things (not anymore at least!) How the IoT works is simple. A complete IoT system integrates four components: Sensors/devices, connectivity, data processing, and a user interface. This first component collects data and information from its environment. These sensors and/or devices can collect data such as how many kilometers you’ve walked, a voice recording, or the temperature inside. After the data is collected, it’s sent to the cloud – and no, not like the ones in the sky. On the cloud, you can store and access data and programs over the Internet. But how does the data get sent there? 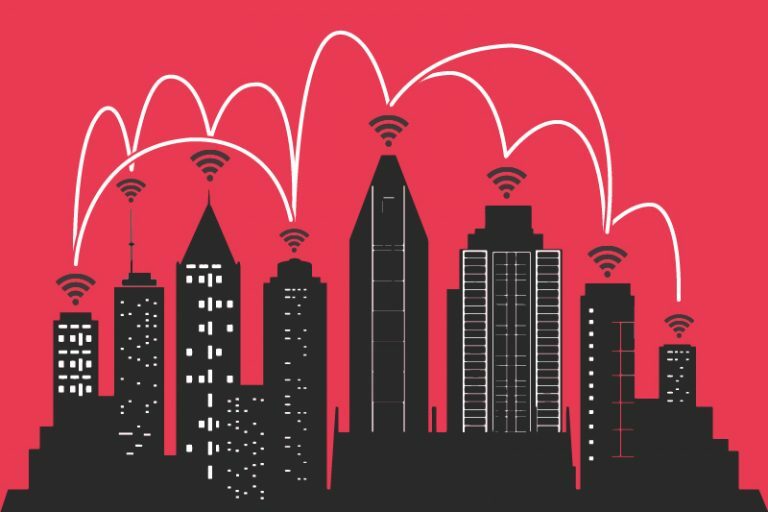 It can be through a number of methods such as cellular, satellite, WiFi, low-power wide-area networks (LPWAN), or a connection directly to the Internet via Ethernet. While each option has trade-offs between power consumption, range, and bandwidth that depend on the actual IoT application, they all accomplish the same task of getting the data to the cloud. Once the data arrives on the cloud, software processing begins. Examples of processing could be regulating whether you reach your daily goal for steps walked or ensuring that the temperature is within a comfortable range. However, technology devices can only go so far. What happens when something happens like the temperature reaches too high? This is where we, as intelligent humans, come in. We are also a part of the IoT’s intricate system. In the case of abnormally high temperatures, users would get notified of the situation or we could program predefined rules that suggest the system to lower the temperature automatically. Either way, the IoT allows users to have the choice to check in on the process or automate it.